For those that follow me on social media you’ll know I’m a television addict. I’m told by some that they don’t need to watch television, because my tweets often sum up the shows for them. A lot of the television shows I watch are perhaps guilty pleasures that I wouldn’t echo a word about outside of the internet, but occasionally there is a show that captures my attention, and that I cannot recommend enough. 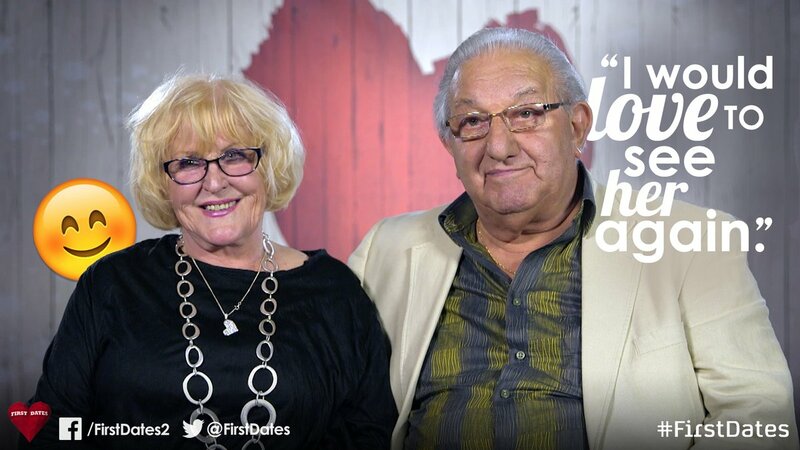 First Dates is one those. It’s back for a new series, and the last few on Channel 4 have been brilliant. In a break from my political blogging I wanted to share with you a review of this week’s episode. For those that saw it, I’d love to talk more about it. If you didn’t, I hope it will persuade you to take a look. 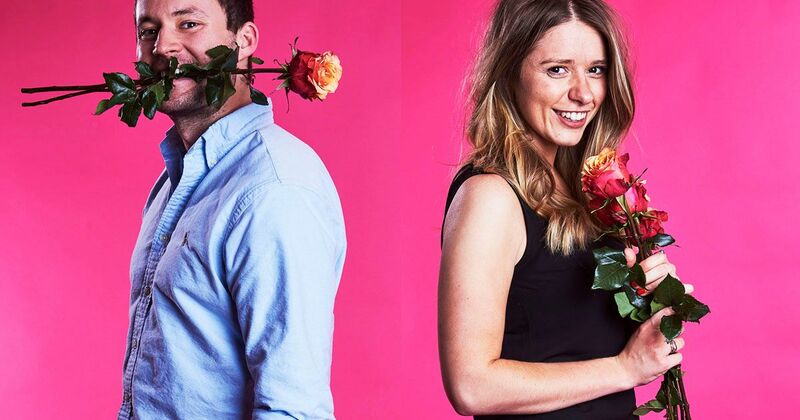 First Dates is pretty unique compared to shows like 90s hit Blind Date (ask your parents if you’ve no idea), the pairing has already happened when the victims/contestants arrive on their date. They’re usually a fairly decent match, sometimes the production team going above expectations to match a good couple. While they try their hardest to make sparks fly, it’s down to the individuals to make the chemistry happen when they turn up on the night. If they turn up at all (I think that was one off though). In First Dates we’re treated to every awkward look, every long pause, and every blank expression that goes on during a date. In the first episode of the new series First Dates was breaking down the boundaries with mental health being the topic of conversation on the menu when we met Damian, 25, from Ireland. He is a mental health nurse, and believes his Tourette’s is the reason he has yet to find the man of his dreams. Fortunately part-time model Kai is a sucker for an Irish accent, and seemed the perfect match for Damian. If viewers hadn’t fallen in love with the pairing by the time they’d both sat down to eat, they certainly were by the end of the meal. Kai was accommodating of Damian’s ticks, and couldn’t help but smile at some of the things he was shouting out. “I’ve got a gun” apparently being the worst one. Laughing it off was what Damian had learned to do, but it still was leaving him feeling insecure being around romantic interests. That was until he met Kai. We also found out that Kai too was dealing with his own demons – depression. As we heard how Kai had suffered for a number of years you couldn’t help thinking that this pairing were taking a great stride in breaking the stigmas of mental health, and getting us all talking about the issues the two raised. If like many others you fell in love with Damian hear more from him on RTE radio this week here. Also through the door tonight was Abbey, a cockney boat builder, who was breaking down gender stereotypes. Abbey believed the reason she was single was because her tomboy image gives off a “lesbian vibe”. Tonight however she was going against everything she stood for by swapping her overalls for a dress to win the heart and mind of her special effects technician date James from Surrey. Confiding in waitress Cici it was clear she wasn’t feeling her most comfortable in her outfit, confiding in Cici that she was feeling “like a knob in a sparkly dress”. But she looked a million dollars, and had viewers falling in love with her, even if she wasn’t able to work the magic on her date. “She’s too much of a tom boy” he explained to another male in the toilet, despite giving the impression everything was going smoothly in the restaurant. It looks like Abbey is going to have to stick with the beans on toast for one for a bit longer, but she has been promised a second First Dates visit in next week’s episode, and next week she’s decided to be more of herself. Also in the Paternoster restaurant tonight was the beautiful Billericay baking enthusiast Felicity. The 23-year-old baking enthusiast was the first contestant to walk through the doors of the First Dates restaurant in the new series. She came armed with cookies and brownies to impress “mover and shaker” 27-year-old Jethro. Felicity is a podiatrist and what she doesn’t know about feet isn’t worth knowing – the perfect conversation starter for a date it seems. Jethro on the other hand works in the city, and describes himself as a bit like Marmite – you either love him or hate him. Usually that means you’ve upset more people than like you. Felicity had been advised by her mother to go for the boring boys rather than the bad ones, but she’s less than convinced. At just 23 she believes she still has time for some fun before settling down, and as a self-confessed weird person with some quirky crab dance moves, she isn’t prepared to compromise. The fact that she was prepared to admit her “bum is out of bounds” on national television suggests she was feeling comfortable in front of Jethro and the television cameras. Clearly Felicity is a fan of marmite, as the two swapped numbers and arranged to meet again. We also had 79-year-old widower Joe. Proving you’re never too old to go back to education, he is currently studying history. And like many other students he wanted 82-year-old Dee that he had a “high libido” even if it did mean having to get out the Viagra. Why are the old ones the friskiest on this show? This didn’t seem to put Dee off. Joe ticked all of the boxes that Dee was looking for from a date. A nice jacket, a sparkle in their eye, and a nice smile. With Dee predicting just twenty years of her life left she wasn’t willing to waste any longer of it, and was ready to give Joe a second date by the end of the programme. It looked like she’d finally found her match. Finally accountant Ajai, 39, was meeting Hema, 32, a “photograph retouch manager” (who knew such a job existed). Hema has been finding it hard to pull recently, literally, as she struggled to open the front door of the restaurant. Hema’s worried everyone around her seems to be getting married at the moment, a problem Ajai was exasperating by proposing to the last three girls he had dated. While he was willing to joke about the proposals on the show, he also admitted there was a sad side to the story. The fact he’d felt that strongly about three women, and managed to blow three chances of everlasting happiness. Tonight though Ajai’s biggest downfall was the handlebar moustache, something Hema had taken exception too. However the couple bonded so well their conversation kept them in the restaurant long after it had closed. 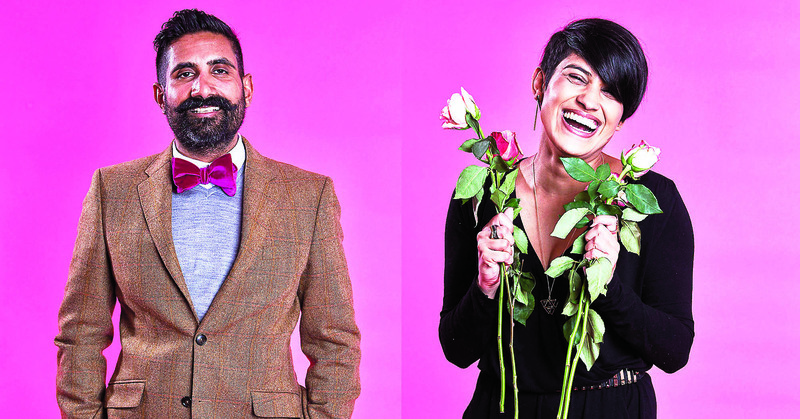 So despite the issue with the moustache, Hema was convinced her mum would love Ajai, and so a second date was arranged. In an unconventional meeting the two headed to the barbers to tackle Ajai’s facial hair. Episode 1 of Series 7 of First Dates can be watched again on All4. Read more reviews of this series of First Dates on my blog.